Uber is finally getting its mini IPO. SoftBank (SFTBF), the Japanese conglomerate, has reached a deal to invest more than $7 billion in Uber for a 15% stake in the ride-hailing startup, according to sources familiar with the deal. The vast majority of that investment comes from SoftBank buying up shares held by existing Uber shareholders, including employees and earlier investors. SoftBank on Thursday completed a tender offer to buy those shares at a discounted valuation of $48 billion, according to sources. SoftBank is also investing $1.25 billion in new capital in Uber at its most recent $70 billion valuation. As CNNMoney has previously reported, this latter investment was contingent on SoftBank getting enough Uber insiders to sell for it to gain a stake of at least 14%. Uber and SoftBank confirmed the completion of the tender offer Thursday. The overall transaction is expected to close in January. "We look forward to working with the purchasers to close the overall transaction, which we expect to support our technology investments, fuel our growth, and strengthen our corporate governance," Uber said in a statement. Rajeev Misra, CEO of SoftBank Investment Advisers, said the firm was "appreciative of the support from Uber's shareholders in the successful tender offer." The blockbuster deal offers a cash infusion to Uber and its shareholders ahead of its actual public offering, which is planned for 2019. It also paves the way for an overhaul of the company after a turbulent year, complete with criminal probes, a lawsuit over trade secrets allegedly stolen from Google (GOOGL)'s self-driving car division and internal investigations into its toxic company culture. The SoftBank investment was key to reforming Uber's dysfunctional board and bringing a detente between warring factions: former Uber CEO Travis Kalanick and early Uber investor Benchmark. As part of the deal, Kalanick agreed that he cannot fill the three board seats he controls in the future without majority approval by the board. Kalanick blindsided Uber in September by appointing two new members without notice. Benchmark, in return, agreed to put on hold its lawsuit against Kalanick over his control of the three board seats, with plans to drop the case if and when the SoftBank deal closes. To pave the way for the deal, Uber previously agreed to add six new seats to its board, two of which will go to SoftBank. Uber's board also adopted a new voting system that will further lessen Kalanick's influence. Kalanick resigned as Uber CEO in June after months of crisis. 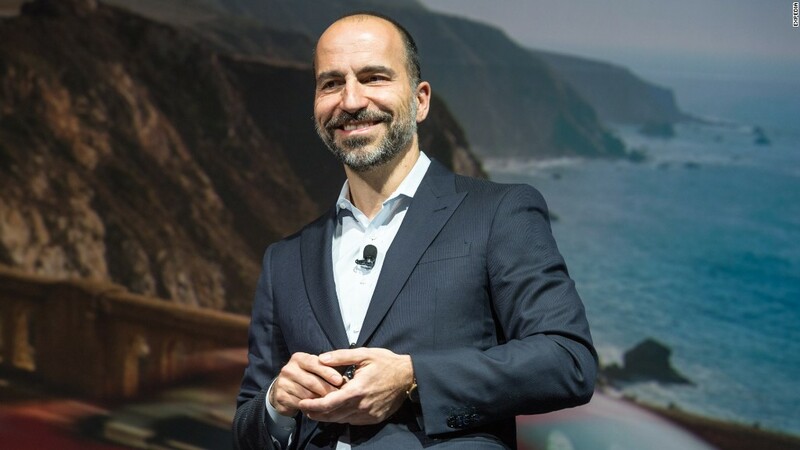 Dara Khosrowshahi, the former CEO of Expedia (EXPE), took Kalanick's place in August after a lengthy search. SoftBank first publicly expressed interest about investing in Uber over the summer, while the startup was still looking for Kalanick's replacement. But SoftBank CEO Masayoshi Son had repeatedly teased the possibility -- some might say threat -- of investing in Lyft instead, including as recently as last month. SoftBank has previously pumped billions into several ride-hailing companies abroad, including Didi in China, Grab in Southeast Asia and 99 in Brazil.